Size - 210,000 sq. ft. 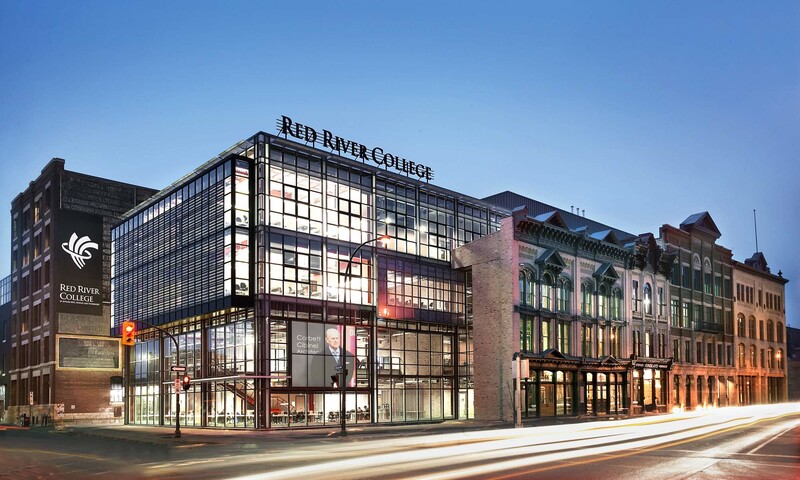 The Red River College Roblin Centre is a state-of-the-art business, multi-media, and information technology learning centre. 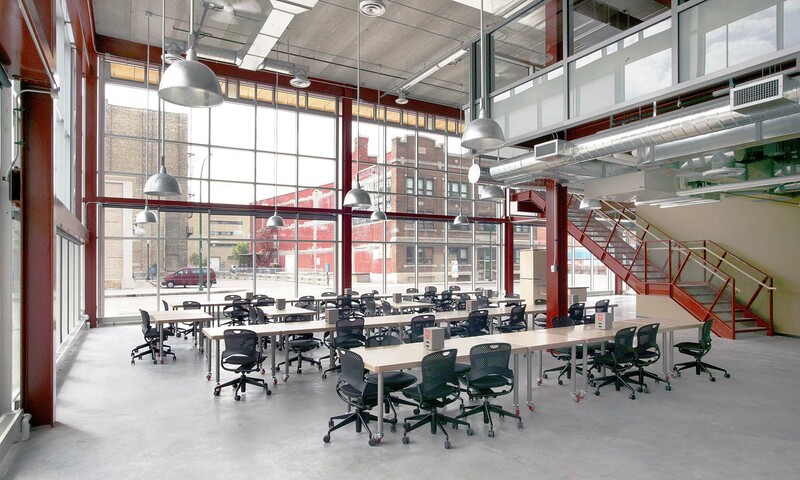 The new campus is located in one of Canada’s National Historic Sites, Winnipeg’s exchange District, and showcases a strong commitment to “green” architecture and historic conservation. New construction complements the restored facades and interior spaces of five prominent heritage buildings on Princess Street as well as a 1905 warehouse on William Avenue. Materials are rendered with inherent colours and textures, thus providing an aesthetic that resonates with authenticity to the existing context. 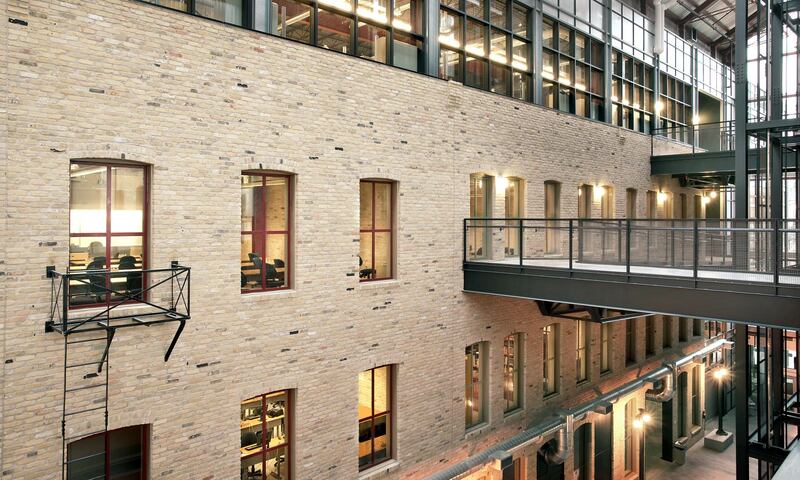 An atrium, bisecting the historic Princess Street buildings, juxtaposes old and new – and forms the heart of the Campus. A former lane is also transformed into an atrium serving as a gathering space and circulation spine for the facility. 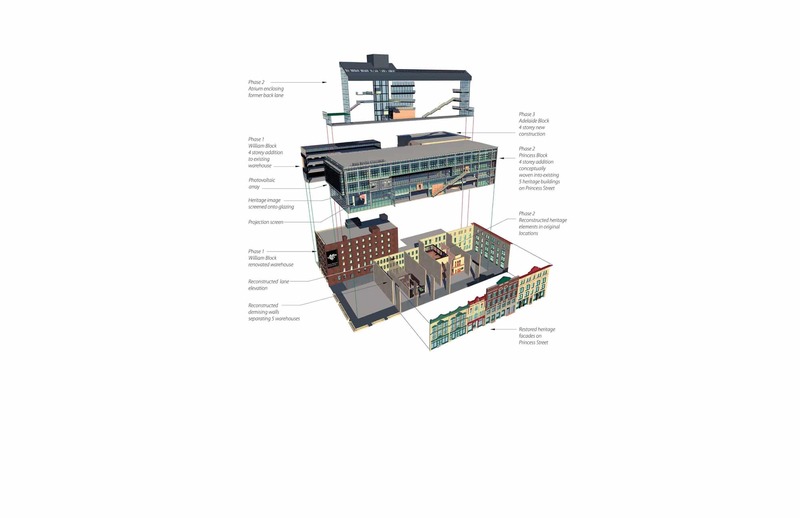 Where new products were required, preference was given to those having recycled content, those manufactured from renewable resources, or those manufactured locally. 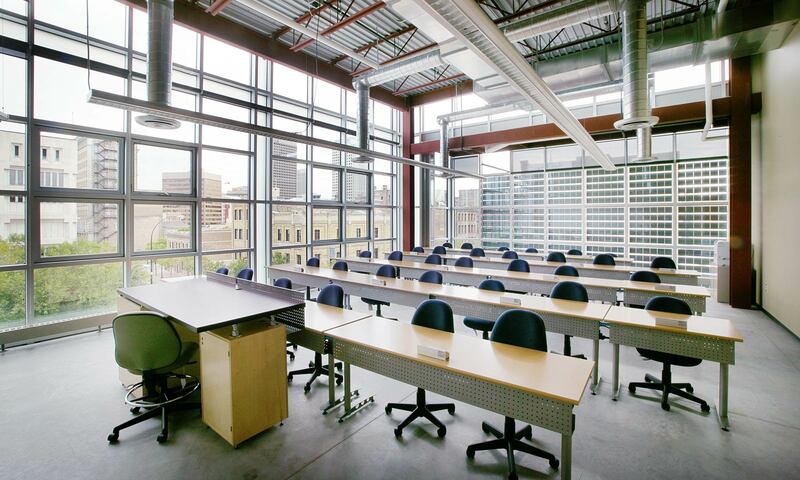 Conceived before LEED was instituted in Canada, the Red River College Roblin Centre is the largest project to date to meet the C-2000 Federal Sustainable Development performance standards, which includes reduction in energy consumption by 45-50%, roughly based on the Model National Energy Code for Buildings, in addition to broad environmental performance improvements. An extensive green roof is featured in a prominent public location on the campus. Beyond the inherent sustainable benefits, this roof is planted and monitored by academic researchers in order to establish appropriate species for northern climates. This project was undertaken by Corbett Cibinel Architects.